Learn exactly what our professional found during your property inspection with our Property Condition Reports. 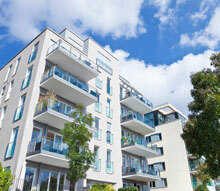 We provide inspections for Apartment Buildings, Hotels, Shopping Centers, Cell Towers. All Commercial Properties. When you are thinking about buying an commercial /industrial property, you will not only need a property inspection, but also an in-depth report outline of exactly what was found. The information helps you understand the condition of the building and/or property. Additionally, our reports can be used to make decisions on the components and systems that were determined to be non-functional or inefficient. You can also decide the projected remediation and maintenance costs for the life of the loan. Physical deficiencies means the presence of conspicuous defects or material differed maintenance of a subject property's material systems, components, or equipment, as observed during the field observer's survey. We describe these deficiencies in our final report. Site Assessment, Topography, drainage, retaining walls, paving, curbing, lighing, Building Envelope, Windows and Walls, Ceilings, Roofing. American Disabilities Act (ADA) Requirements & Compliance. Copies of Records Researched & Information Obtained to Determine the Maintenance History. Electrical Systems,condition and code compliance. Contact us for a thorough property condition report prior to purchase.